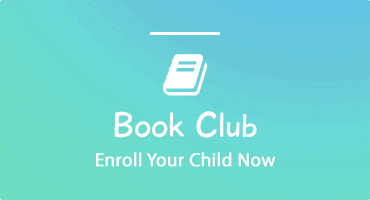 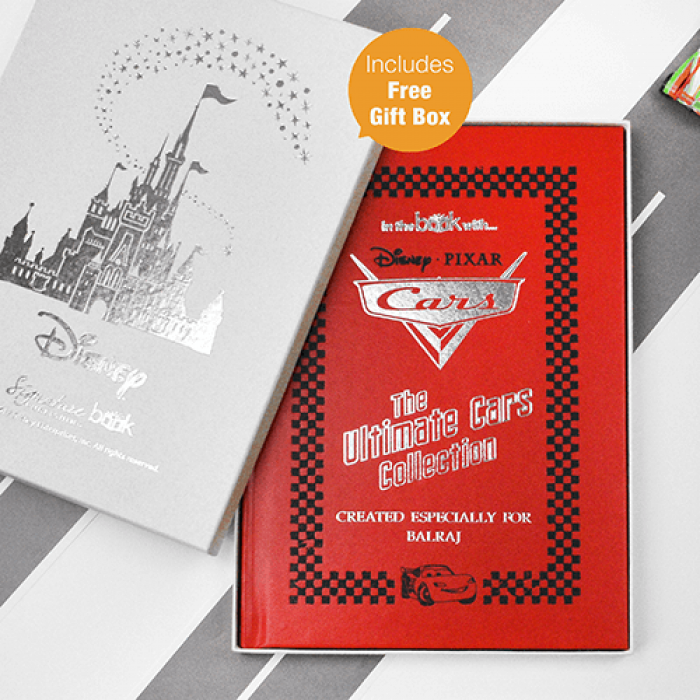 Available in two sizes, this personalized book is the ultimate present for any fan of Disney's Cars series. 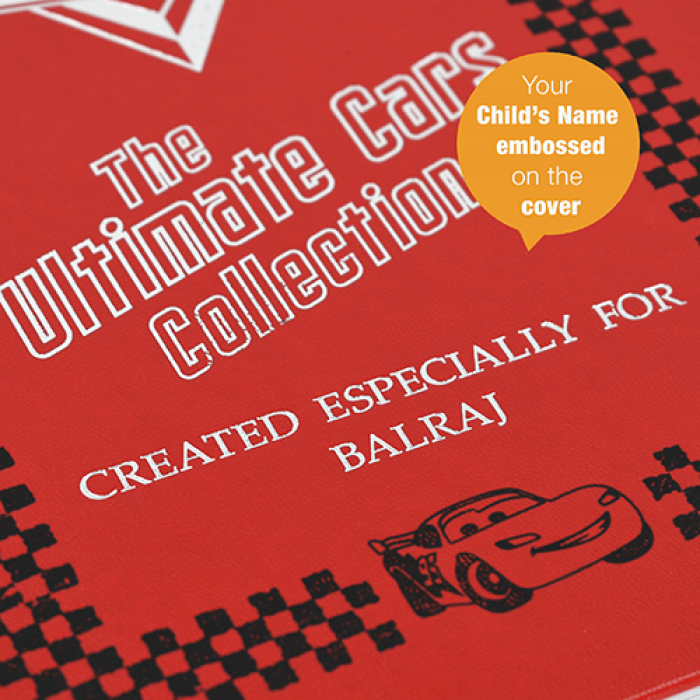 The red hardback cover is emblazoned with the iconic ‘Cars’ logo and embossed with the recipient’s name. 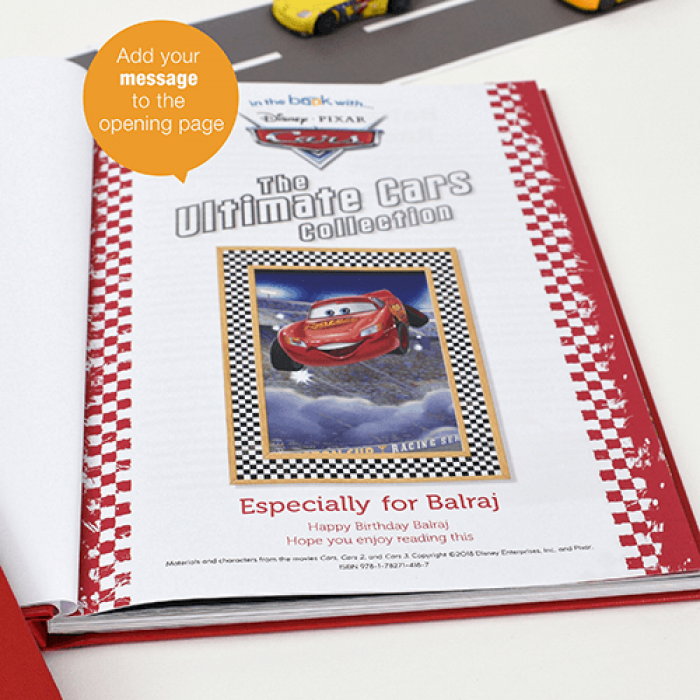 Inside, the reader will find stories from all THREE of the Cars films, faithfully retold with original artwork from memorable scenes in each film. 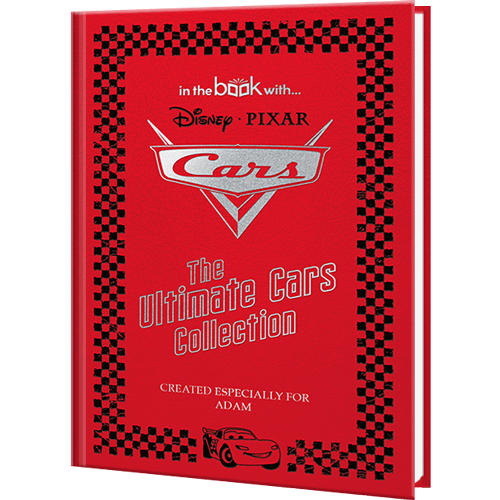 On top of this, the Cars Ultimate Collection features FIVE more stories about the Radiator Springs gang that don’t appear in any of the original three films. 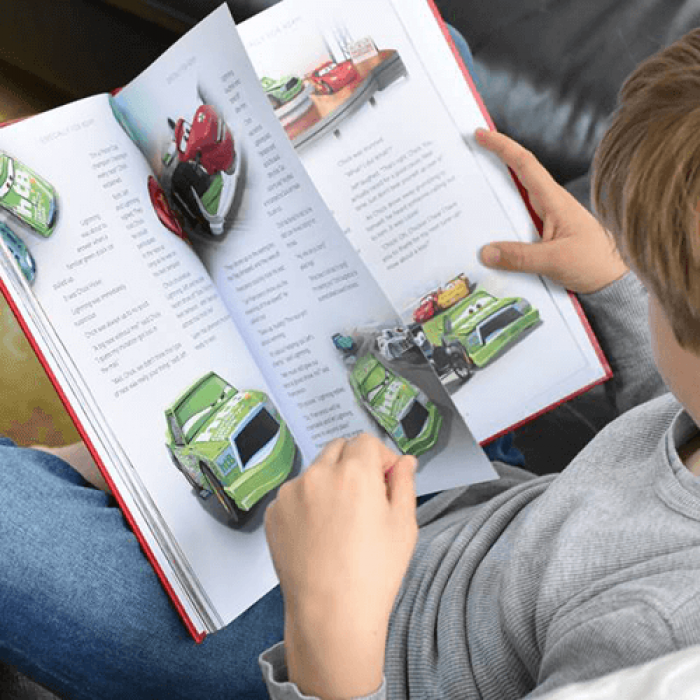 An absolutely fantastic gift for any Cars fan, who will love to see their name appear at the top of every page, as well as featuring in their own story at the start of the book.